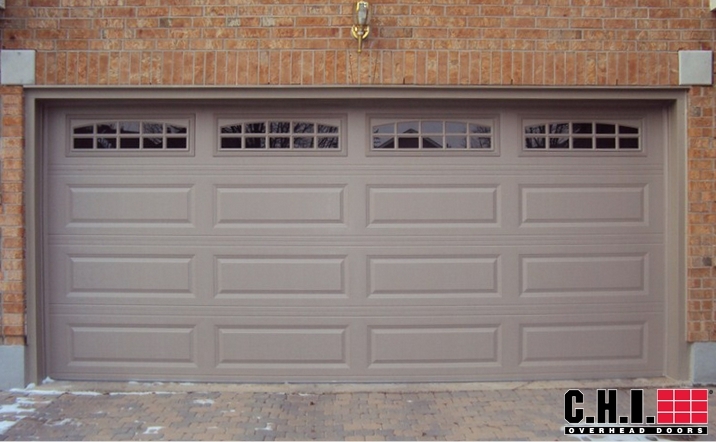 CHI’s 4251 features a long style panel and the quality of construction expected from CHI garage doors. This long panel style garage door is constructed from 25 gauge steel and insulated with 1-3/8” polystyrene, offering a 7.94 R-value. Designer windows, and decorative inserts are available on this model, as well as 5 color choices. This popular model is a great value and also comes in an non-insulated and a short panel design, as well as the long panel style pictured. We also install other types of garage doors including other long panel garage doors, steel, wood and custom garage doors. For more information on our garage door services in the metro Atlanta area, call us at 678-714-7393, or contact us online.